I KNOW, I know not everyone likes fruitcake and fruitcake has gotten a bad name over the years. BUT, if you are willing to try it, this fruitcake will put all that to rest. This is my new go to recipe. 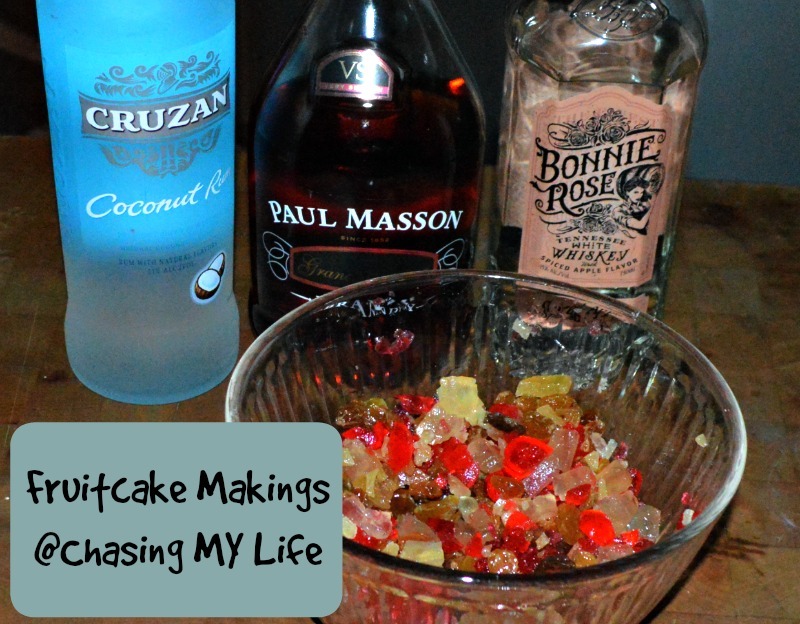 I took all the parts from all my other fruitcake recipes and concocted this one. I have since tossed ALL the other recipes. This fruitcake CANNOT be used as a doorstop because it is so moist, light and fluffy too. Nor will this fruitcake will last long enough to be passed around and down through the years because it is so flavorful. This picture doesn’t do it any justice, but trust me it is SOOOOOO GOOD! Toss fruit pieces together with the alcohol and soak for 24 hours. The fruit will soak up the alcohol and make an ooey gooey yummy mess. Toss nut pieces with the flour. Toss nut mixture with the ooey gooey fruit mess mixture. Sift together the flour, baking soda, cinnamon, salt, nutmeg, cloves and allspice. Add the sugar and blend until uniform in color. Add the applesauce and vanilla until well blended. Gradually add the flour mixture to the butter mixture until well blended. Fold in fruit and nut mixture until uniform in consistency. Bake 60-65 minutes or until tester comes out clean. Cool for 15 minutes on wire rack BEFORE inverting or removing from pan! ** I like to use many little loaf pans to use for neighbor gifts.